These ten gift exchange games are some of the most creative and unique gift exchange ideas ever! 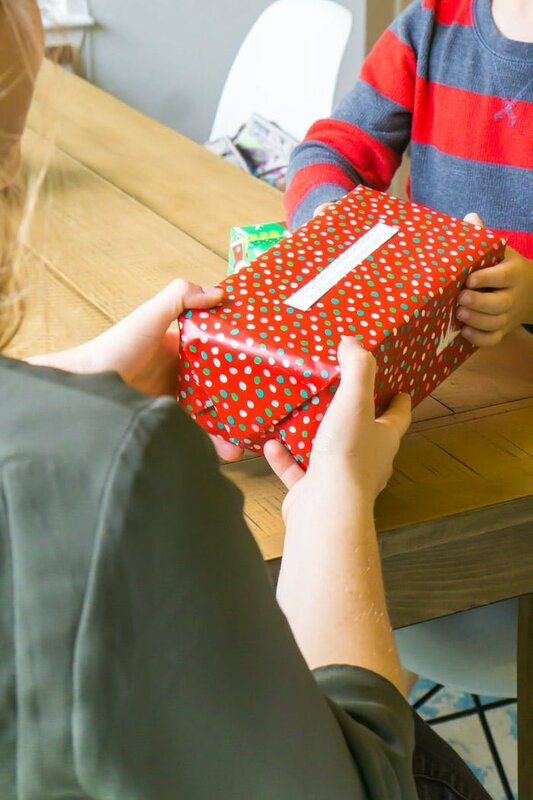 No more traditional white elephant gift exchange, this year try one of these gift exchange games instead and impress your guests with such fun ideas! Try one of these fun and unique gift exchange ideas this year to break the norm. Almost every holiday party I’ve been to in the past ten years has had a very similar gift exchange. Everyone brings a wrapped gift and gets a number. The first person chooses a gift and unwraps it, the second person can steal that gift or choose another, and so on. I don’t even have to write out exact details because you all know. It’s the same game everyone plays at their holiday party every year. This year I dare you to break out of the typical gift exchange box and try one of the unique gift exchange games below at your holiday party. Your guests will probably be shocked, maybe a little confused, but I’d be willing to bet they will remember how much fun your party was. 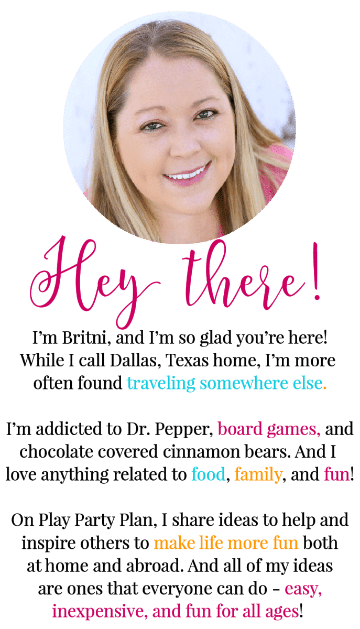 The only other thing you need is an amazing white elephant gift and luckily I have a ton of great white elephant gift ideas for you! Want to see how fun these games can be? Watch the video below to see these games in action! Want all of these in printable form in one place? 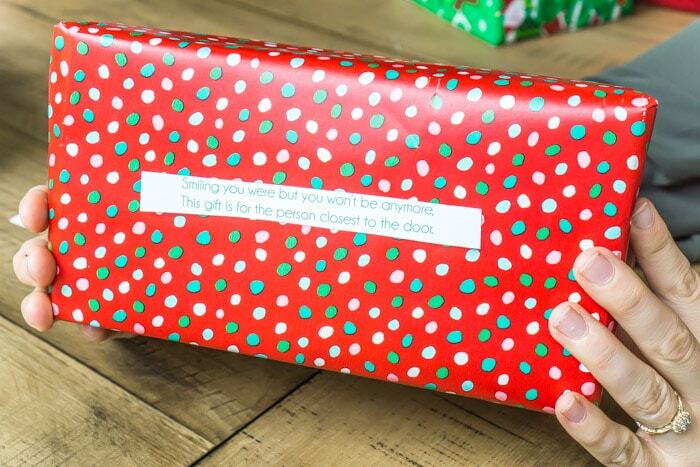 In this fun gift exchange game, you wrap up a gift with multiple layers of wrapping paper and include a line of a poem on each layer of wrapping paper. Start the gift with one person who has to pass the gift off to someone who matches the description in their line of the poem. Keep passing and unwrapping the gift until the final person ends up wrapping the gift itself, not just another layer! Get the free printable poems (four different versions) and full rules here. 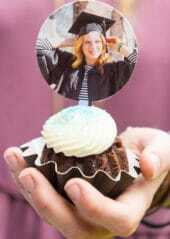 The version above is best if you just want to provide one wrapped gift as part of your party fun. If you want to use this type of pass the present game with these poems for a larger group, here’s how to do it. Ask your guests to each bring a wrapped gift. Before the party, print out one of the poems I created that will determine who passes the present where. You can get the printable poems in this post. If you’re creating your own poem, make sure that the final line to pass in the poem is a universal one (like pass to the right or pass across) so that everyone ends up with a gift. Three of my four poems end that way if you’re using one of mine. 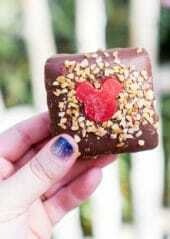 1 – Tell each of your guests to hold their own wrapped gift. 2 – Read the first line of the poem and tell your guests to follow the instructions in the poem. 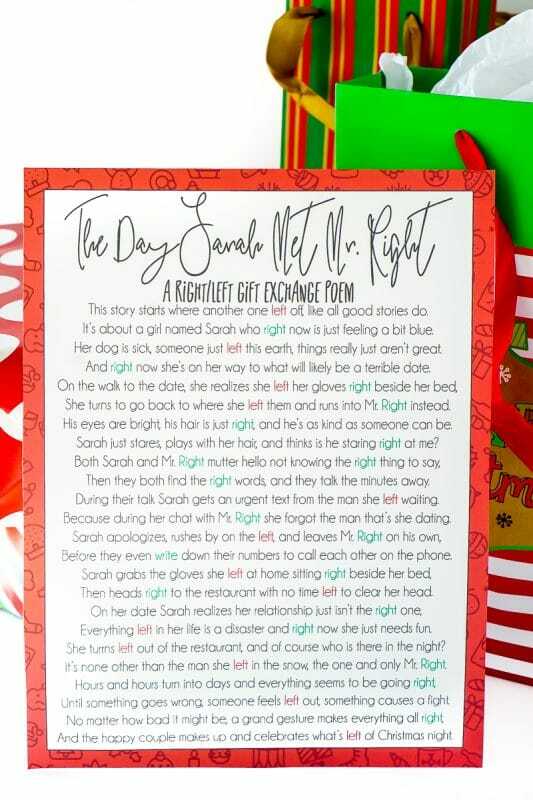 An example would be, “I’m sorry but this gift is not for you, give it to the person to the right of you.” If one person receives multiple gifts that’s fine, they will just need to give all of the gifts away during the next line of the poem. 3 – Repeat, reading the poem line by line and having your guests follow the instructions on the poem. 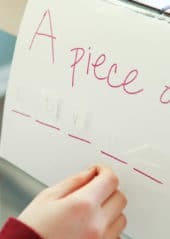 Announce when you’re on the last passing line of the poem and that everyone needs to give their gift to a different person (so no one has multiples at the end of the game). 4 – Once you’ve finished reading the poem and everyone has a gift, everyone can unwrap and keep their gifts. In this game, everyone brings a wrapped gift and sits in a circle. Read the poem and when the words “right” or “left” are read, everyone passes their gifts left or right. You’ve gotta pay close attention though because it can get crazy with rights and lefts all over the place! Get the full instructions and free printable Christmas gift exchange poem here! These games are played with a set of dice and the dice tell you what to do with the gifts! They’re super fun and a great change because the gifts are controlled by dice – not choice! In this game, everyone starts with three small gifts. 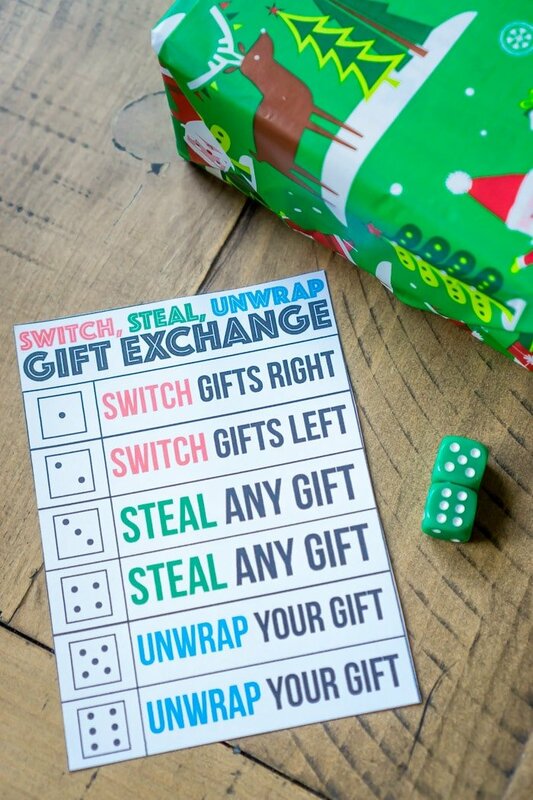 You roll the dice and the dice determine if you switch, steal or unwrap gifts. Game ends when all the gifts are unwrapped. This is by far one of the best gift exchange games I’ve ever played and the hundreds of thousands of people who played it last year agree! Get the full instructions and printable dice cards here! For this game, you will need two six-sided dice. Ask all of your guests to bring a wrapped gift. 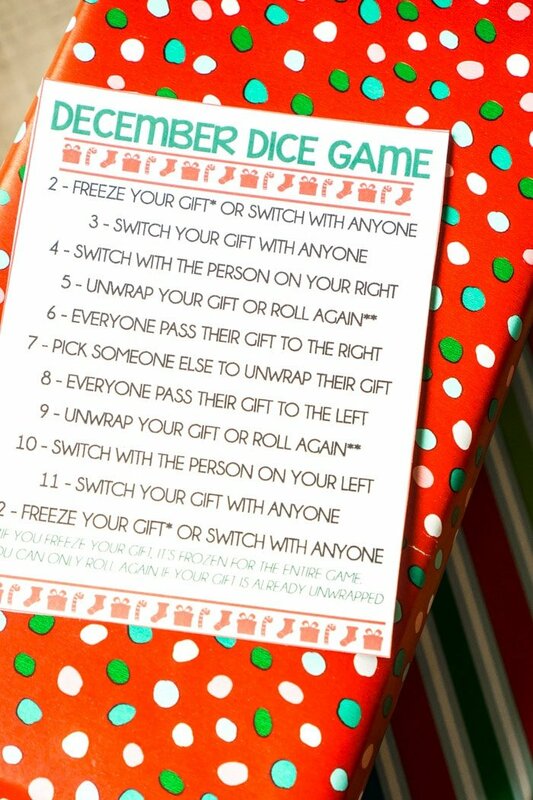 And print out the dice rolling cards, people will want to know what’s happening to their gifts! Here are some great gift exchange gift ideas if anyone needs them! 1 – Have everyone sit in a circle with their wrapped gift in their lap. 2 – Give the dice to one person in the circle and tell them to roll the dice and follow the instructions that correspond with the number they roll. For example, if they roll a 6 everyone would pass the gift to the right, roll an 8 and everyone passes to the left. 3 – Go around the circle allowing everyone to roll the dice two times (or however many you choose). During the second round before someone rolls, if they have not yet unwrapped their gift have them up wrap it so all of the gifts are unwrapped by the end of the second round. 4 – Once the dice have gone around the circle the number of times you chose, your guests will keep the gift in their hands. To print the dice cheat sheet, enter your email and first name below to get a copy of the file. If you do not see a box below, click here to get to the form. Similar to the gift exchange games with dice above, these ones are also based on an element of chance – whether it’s a flip of a coin or winning a challenge! Just another fun way to change up the typical white elephant game! Let your gift exchange be dictated by the flip of a coin in this fun heads or tails gift exchange. Heads you choose a gift to unwrap, tails you get to steal from another person. It’s amazing how just adding a little coin to a game can change it completely. Get full rules and instructions here. This game is played similar to a traditional gift game or white elephant game. 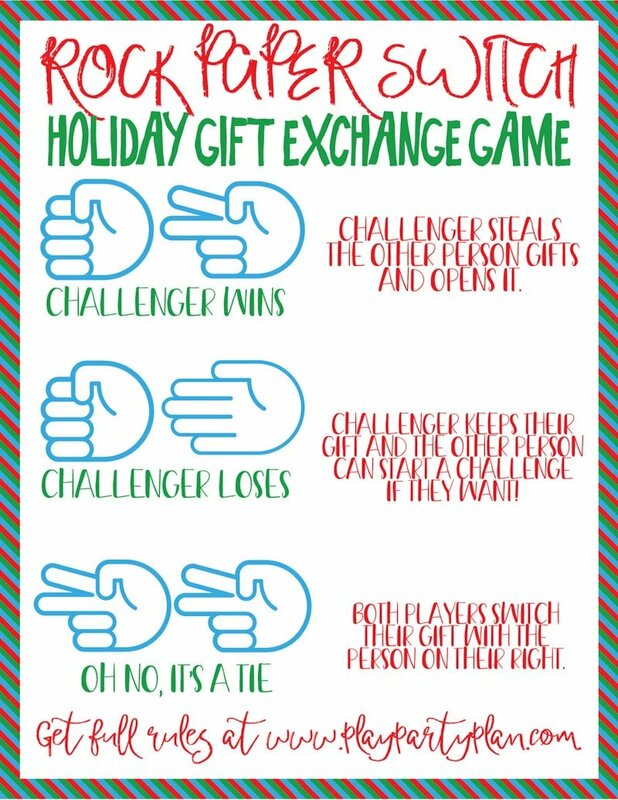 The big difference is that in order to steal a gift from someone, you have to beat them in rock paper scissors first. But that’s not all – this gift exchange game is full of fun twists and surprises all based on whether you go with rock, paper, or scissors! Get full rules, instructions, and a printable game sheet here. These are the gift exchange games that will get your guests up and moving around the room or the gifts get moving all over the place! That might happen a bit with the other games as well but these games are designed to be active and interactive! Prep: This game probably works best with smaller (20 or less) groups of people. 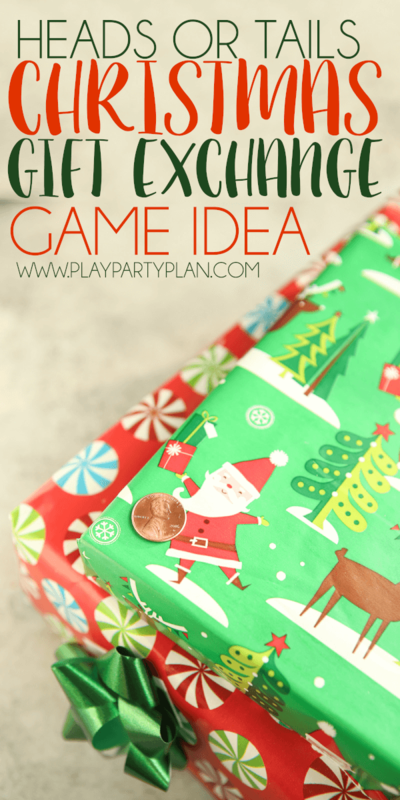 For this game, ask all of your guests to bring a wrapped gift. When your guests arrive ask them to put their gift in a designated area. Have your guests sit in a circle. 1 – To start the game, pick out a random gift from the table and give it to someone in the circle. 2 – Play Christmas music and tell your guests to pass the gift around the circle until the music stops. 3 – When the music stops, whoever has the gift in their hands will unwrap the gift, show the rest of the group, and leave the circle with their gift. That’s the gift they end up with for the game. Alternative Option: If you’d rather make the game a little simpler and less time consuming, you can just start everyone with a gift at the beginning of the game. Play music and have everyone pass their gifts around until the music stops. When the music stops everyone opens their gift and goes home with that gift. Or you can do two rounds and have half the people unwrap their gifts and half not. Then after the second round have the other half unwrap and everyone go home with whatever they ended up with. You know the traditional Never Have I Ever game? This is a holiday gift exchange take on that where people read Never Have I Ever statements and if they’ve done the thing – they have to move seats (and leave their gift behind). It’s hilarious and a great way to get people switching without hurting anyone’s feelings with stealing. Get full instructions for the game and over 50 Never Have I Ever questions for this Christmas version here! 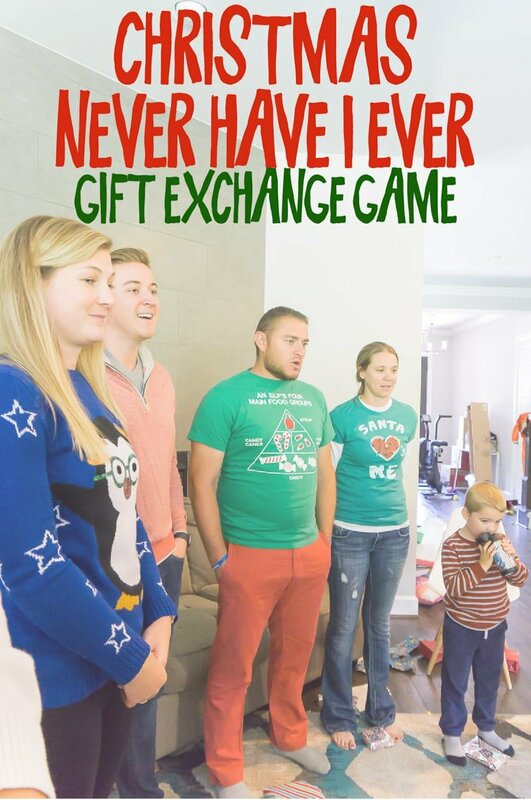 In this game, everyone brings one gift just like in a typical white elephant gift exchange. Instead of just deciding whether or choose a gift or steal someone else’s, you pick a random card instead. The card will tell you what to do with your gift – steal, swap, unwrap, pick a second gift, and more. 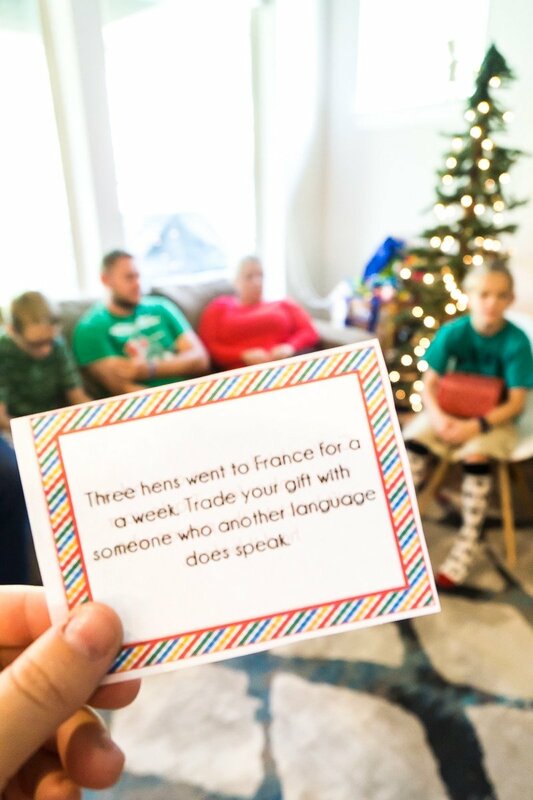 This is one of our favorite gift exchange games! 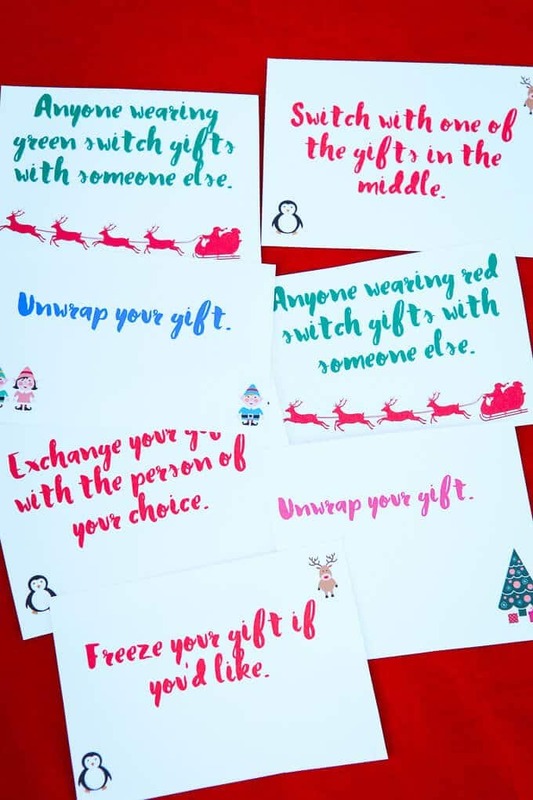 Get the free printable gift exchange game cards here! The last of these gift exchange games is another favorite! Similar to the game above, the card you draw in this game tells you what to do with your gift. Only this time instead of random sayings, these cards are all themed based on the 12 days of Christmas song. So not only is it fun, it’s hilarious to read what happened in the new version of this song (and game!). Get the full details and printable cards here. Since I started coming up with gift exchange games a few years ago, I’ve had a lot of questions from people. I put together a quick FAQs section below to answer some of the questions I hear the most often! You can play any of these gift exchange games with a deck of cards instead of using numbers. I talk about this a bit in my heads and tails gift exchange game but the idea is that instead of writing out numbers for everyone and having whoever gets #1 go first – instead, pick out two sets of matching playing cards, enough cards in each set for everyone in your group. So for instance if you have 20 people playing, you would do two sets of 20 cards (A-K of hearts and A-7 of spades). Then instead of just saying #1 go first, pick a card from one set of the deck and whoever has the matching card goes first. It keeps people on their toes and not knowing who goes next. Way more fun in my opinion than just set numbers! What Are Some Good Christmas Gift Exchange Themes? I’ve never really done themes for my Christmas gift exchanges, but that doesn’t mean you can’t. Some of my favorite theme ideas that I’ve heard over the years are below. Tell everyone coming the theme and encourage them to buy a gift that follows that theme. How Many People Can Play These Gift Exchange Games? 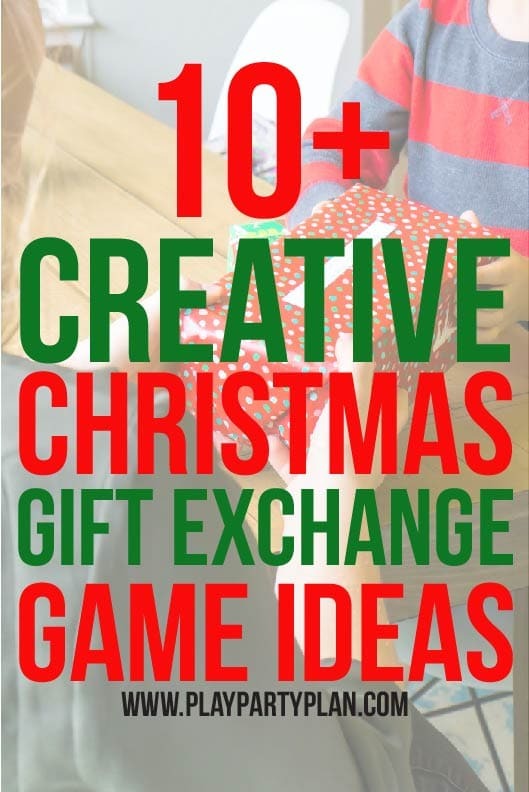 The number of people that can play each of these gift exchange games is dependent on the game, and you’ll need to check out individual instructions for the games. But general rule of thumb, the more complicated the game – the less people. If you have a large group, go with something simpler like Heads or Tails or Lucky Last Line. This is another one where you’ll need to use your best judgement. All of the games above are totally family-friendly but if you have younger kids (like my 5-year-old) who don’t understand the idea of stealing gifts, having gifts stolen from them, and not getting what they want – I’d recommend you setup the younger kids with one of these Christmas party games and leave the gift game playing to kids that are a bit older and adults of course. Don’t forget to pin these gift exchange games for later! I love your gift exchange ideas. I’ve been attending the same Girls Pajama Party for 11 years and I think it’s time to change up the gift exchange. Where can I receive the December Dice Game file? Thank you! You can get it by entering your first name and email here Heather –> https://landing.mailerlite.com/webforms/landing/i6k0a1. Freeze your gift?? Dice game. I guess you first open it then decide if you want to freeze?? Or exchange with anyone?? Thanks for such a great game idea. Intend to use. Dice gift exchange looks like fun! Our family had so much fun last year with the “Lucky Last Line Gift Exchange Game”. Now, to try and decide which game to play this year. Do you have any ideas for a kid Christmas gift exchange when 3 of the 4 are mine? I have 16 year old twin girls, 11 year old boy and their cousin is 15 year old girl. With only 4 kidos you could just draw names or you could play one of the above steal switch games. But those are geared towards playing with more people. Love all the ideas! I think we will try the December Dice Game at our family Christmas dinner. What is meant by “freeze your gift”? If the person chooses to freeze their gift, they are basically out of the game and keep that gift. For the December Dice Game, does everyone start with their own present in their lap or can you start with a random present? Also, when do you stop? Everyone rolls once or you just keep going until the last present has been unwrapped? Everyone starts with a present – doesn’t matter if it’s their present or a random present. You determine at the beginning of the game how many times you’re going to go around the circle before you end the game. That way everyone knows when it’s going to end. If you want something a little more random, try my Switch Steal Unwrap Game!